We showed you some Siri clones available in the Android Market last week that use official Apple icons, and they are even promoted as “Real Siri for Android” and “Siri for Android.” Now, the first round of Windows Phone Siri alternatives seem to be popping up in the WP Marketplace. If you are craving Siri like functionality for Windows Phone and more, look no further. Ask Ziggy is your Personal Assistant that goes beyond Siri functionality. The first app is called “Ask Ziggy” from developer Shai Leib and it is not exactly a rip-off like the Android Siri alternatives. As you can see in the video above from WP Central, the app takes inspiration from the Siri UI and seems to work rather smoothly in comparison to Windows Phone’s built-in TellMe voice control features. It does not borrow Apple’s icons, but has an overall similar feel to Siri. The app apparently utilizes Nuance voice-recognition (same as Siri), but the developers handled everything else themselves. It is available for free now, and the updated version seen in the video should be landing soon. 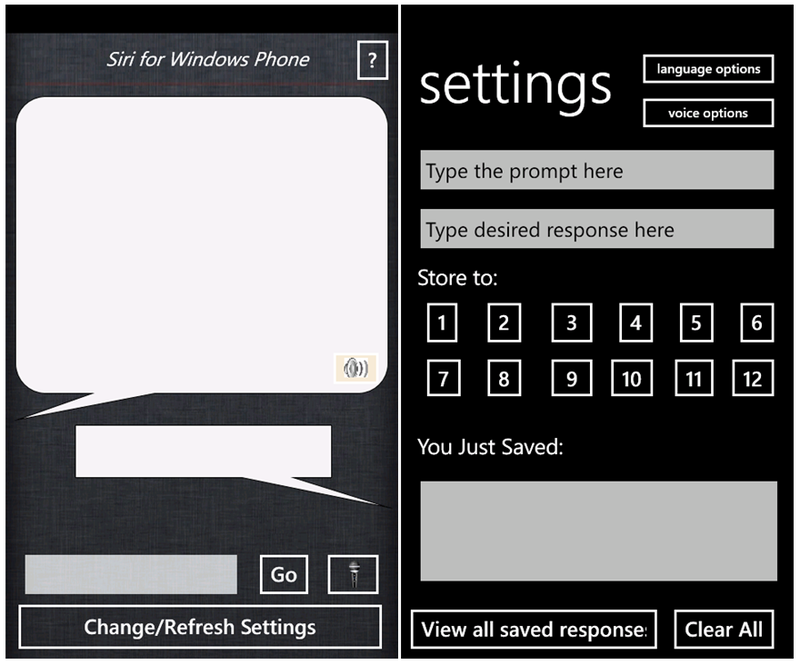 Another Siri alternative for Windows Phone currently available in the Marketplace isn’t really a functioning voice control app, but it is marketed as “Siri for Windows Phone”. 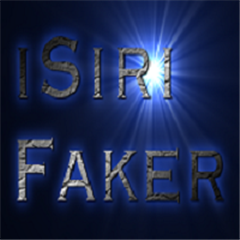 The name “iSiri Faker” also seems to be associated with the app. This app will allow you to “fake Siri conversations on your Windows Phone.” We are not sure exactly what that means, but according to the app’s description you can “program custom responses” using speech recognition, text to speech, data compression, and voice effects. The app is available for $0.99 in the Marketplace. Screenshots are available after the break.